Join the James Renwick Alliance members for a sneak peek of work made for the upcoming international shows SOFA Chicago and Art Basel Miami by glass artists Tim Tate, Michael Janis, Erwin Timmers and collaborative work by Tim Tate and Marc Petrovic: Seven Deadly Sins and Seven Waking Dreams. * Just added * click HERE to jump to American Craft Magazine article on Tim & Marc's work. The adjacent Flux Studios is also hosting a preview showing of work by its renown artists. Saturday, October 2, 2 p.m. to 4 p.m.
Works of Novie Trump, Laurel Lukaszewski, Jessica Beels and Judit Varga. Susan Taylor Glasgow ‘You Are My Sunshine’. 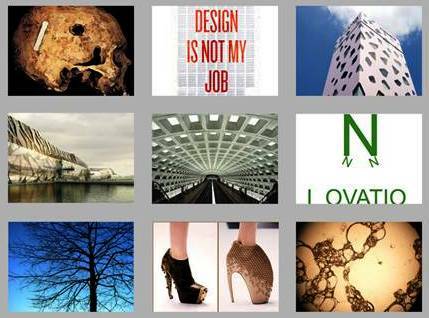 On of the features of the blog is to showcase the work of favorite artists. 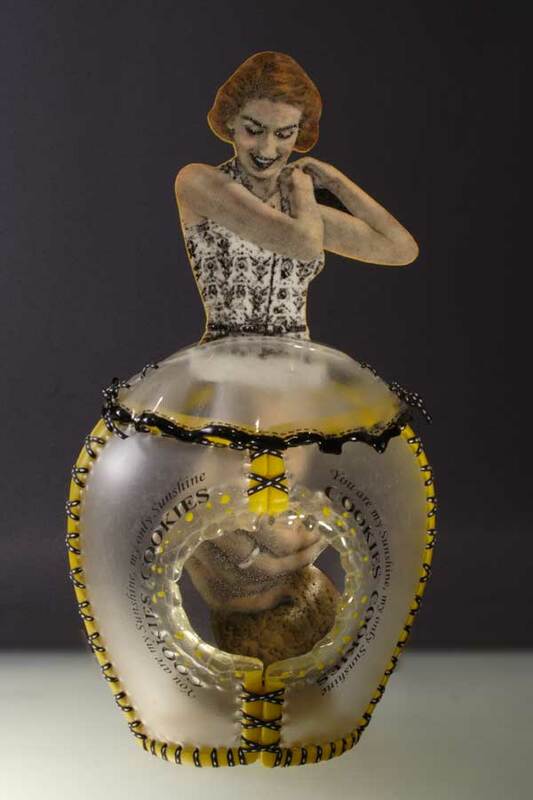 One of the contemporary leaders of narrative glass is Susan Taylor Glasgow. Susan will be in the DC area soon, teaching a workshop at Weisser Studios. Susan Talor Glasgow ‘Eve’s Penance’. 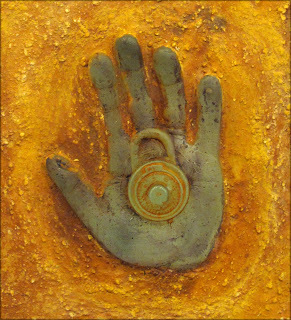 Susan Taylor Glasgow is represented by Heller Gallery, NY, and is exhibited throughout the United States. 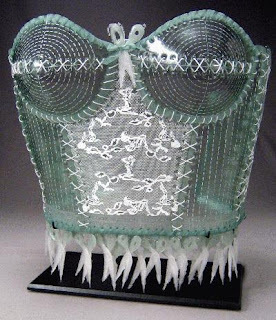 Her ‘Sewn Glass’ technique embraces the domestic act of sewing in an unexpected medium. Combining text with 1950’s imagery, Susan explores the “complex dichotomy of women’s roles within the household”. Each sewn glass sculpture starts out as a flat sheet of glass. To establish the three-dimensional shape and holes, each section of the glass is kiln-fired several times. The imagery is imbedded into the glass by sandblasting, and then by rubbing glass enamels into the blasted area to create the black and gray “photo”. 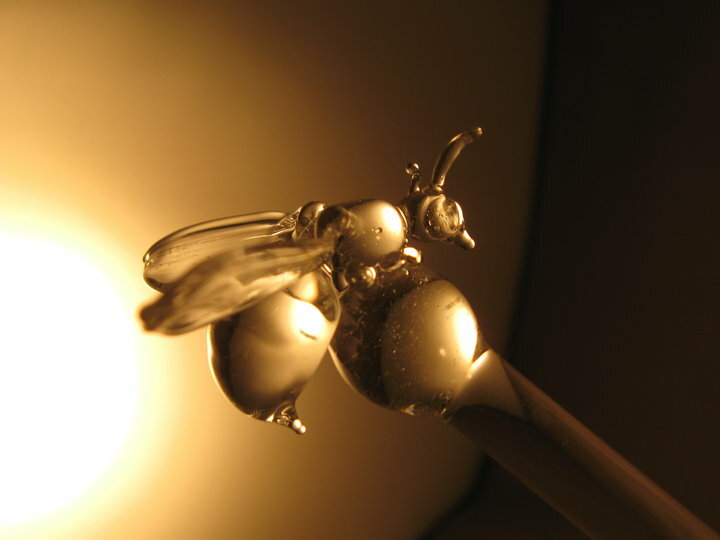 The components are then re-fired to melt the enamel into the glass. Once cooled, the sections are finally sewn together. Depending on the complexity of the vessel or sculpture, the entire creative process may take two to four weeks to complete. Susan Taylor Glasgow ‘Glamour Legs Model #121757 Set’. Susan’s studio is in Missouri, in an old 1930′s house in downtown Columbia that she and her husband rescued from demolition. She is a 2002 recipient of Pilchuck Glass School emerging artists grant, and a Wheaton Arts fellow in fall of 2003, and most recently a resident artist at the Pittsburgh Glass Center. 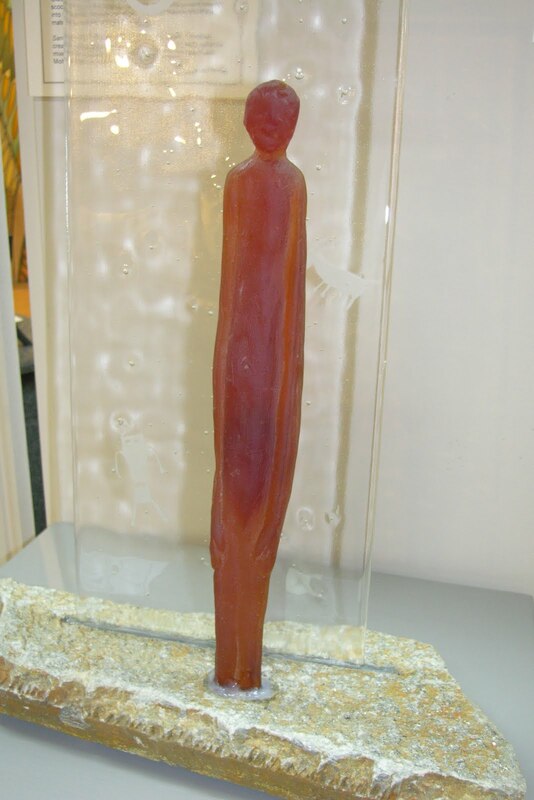 Susan’s work has earned numerous awards and she has work included in the permanent collection of the Carnegie Museum, Chrysler Museum, Museum of American Glass, and several others. Click HERE to jump to Susan’s website. Susan’s work will be part of a group show titled “Domesticity: How We Live” at Morgan Contemporary Glass Gallery in Pittsburgh, PA, opening in October. Susan also has a solo show at Gallery One One titled ‘Refuge’ now on exhibit at Brazee Street Studios in Cincinatti, OH, with the closing reception on Oct 8th. Ms. Glasgow is also a chair at the upcoming Pittsburgh Glass Center Benefit Auction to be held Oct. 15th in Pittsburgh, PA. 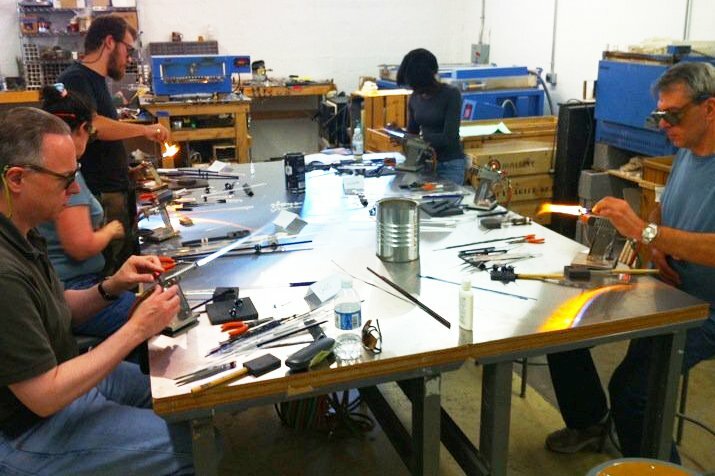 The Sculptural Flamework class and the Flamework Club got a great start to the fall semester here at the Washington Glass School. 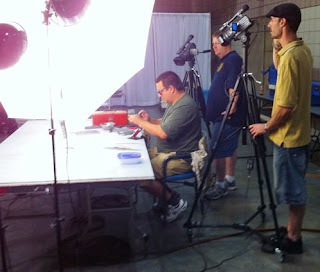 Above photo shows the weekend class completely engrossed in their works in the new lampworking stations. Instructor Robert Kincheloe has advised that there is still space available in the next beginner class coming up in October and the Club is going strong on Saturdays. Some killer flamework classes with superstars Liz Mears and Michael “Fig” Mangiafico are coming up real soon! The designers are doing it again! The Northern Virginia Chapter of the American Institute of Architects will have a Pecha Kucha mashup (a series of short slide presentations – approx 6 minutes each- on cool, entertaining topics held where conversation, ideas and drinks can flow) talking about art, architecture and design . 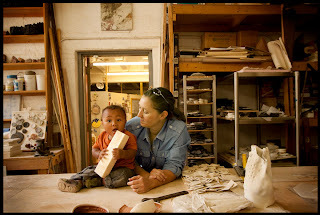 Speakers include engineer / metal sculptor Michael Enn Sirvet & ceramic sculptor Leila Holtsman. Other speakers include:Anh Tran, Edna Johnston, Gregory Rubbo and Rado Ivanov. Come on in for the event! – A great way to meet other artists, architects and designers – @ the Light Horse Restaurant in the Old Town section of Alexandria. Where: Light Horse Restaurant & Bar, 715 King Street Alexandria, VA. Enjoy food and drink and discover a fun way to share ideas and experiences as presenters illustrate something they are passionate about with only 20 images, shown for 20 seconds each. The event is free, although attendees will be purchasing their own refreshments. Reservations are not required. Nancy Donnelly sent a quick report of the glass exhibit “Transcendence – the Magic of Glass” that is part of the Glass Festival now going on in Sequim, WA. Washington Glass School’s Teddie Hathaway was juried into the show, outlined in an earlier posting. 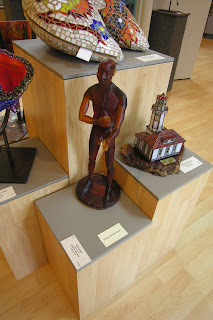 Nancy writes that the museum show is at Sequim’s “MAC”, where the letters MAC stands for “Museum & Arts Center in the Sequim-Dungeness Valley” in Washington. Nancy also advises that the correct pronunciation of Sequim is closer to “Skwim”. The Sequim show is a large show, with some 50 artists participating. Many are from Washington State, but also from Toronto, L.A., Greece,Turkey, New York, and Arizona. This exhibition is part of Washington’s Glass Festival, and is accompanied with workshops and artist talks throughout the month. Some of the artists speaking include Michael Dupille and Delores Taylor. Nancy writes that the show is well displayed and the work is quite good. They had numerous pieces of cast glass, and she sent some snaps of the exhibit. 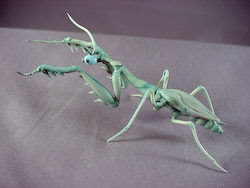 >The Houston Examiner has a nice article about Washington Glass School Director Erwin Timmers. Erwin will be teaching classes about recycling and sustainable design this October in the Lone Star State. Link to the Houston Arts Examiner article – click HERE. 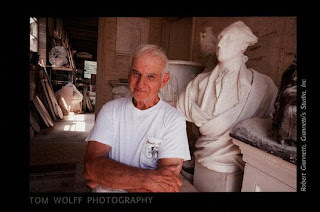 The artist reception for photographer Thomas Wolff’s show of new works is this weekend at the 39th Street Gallery at the Gateway Arts Center. His show, titled: CENSUS: A PHOTOGRAPHIC SURVEY includes portraits of the Gateway Arts District artists, business owners and citizens. Tom Wolff studied painting at the Art Institute of Boston and Arts Students League in New York, and studied photography at Geo. Washington University and Photoworks at Glen Echo Park. Thomas is a freelance photographer; and adjunct professor at Shepherd College (now university), Shepherdstown, W.Va. 1988-89 and at Photoworks Glen Echo Park 1977-2005. His work has been published in Washington Post Magazine, House & Garden, Garden Design, Smithsonian, Audubon, and New York Times Magazine/Sophisticated Traveler. Click HERE to jump to Tom’s website. The Longest Continuous Neighborhood Festival in DC! First held in 1978, this nationally known regional event showcases the international and cultural diversity and creativity that is the hallmark of Adams Morgan. This Festival celebrates the dynamism and innovation that arises from the melting pot of cultures and their interaction together. The Adams Morgan Day Festival is characterized by two large signature music stages and other innovative & dynamic cultural, music, arts and dance activities. The famous Columbia and Florida Stages feature live music acts from all genres from Central and South America, Latin rock, salsa, jazz, to soul, funk and American rock. The beautiful tree-lined Belmont block is filled with artists who work in a wide variety of styles and mediums. Glass, oils, watercolor, textiles, sculpture, and more. The Washington Glass School will have a booth at the street fair – come on by! In-ter-sect: (in-ter-sekt) To cut across or overlap each other, to have one or more points in common. 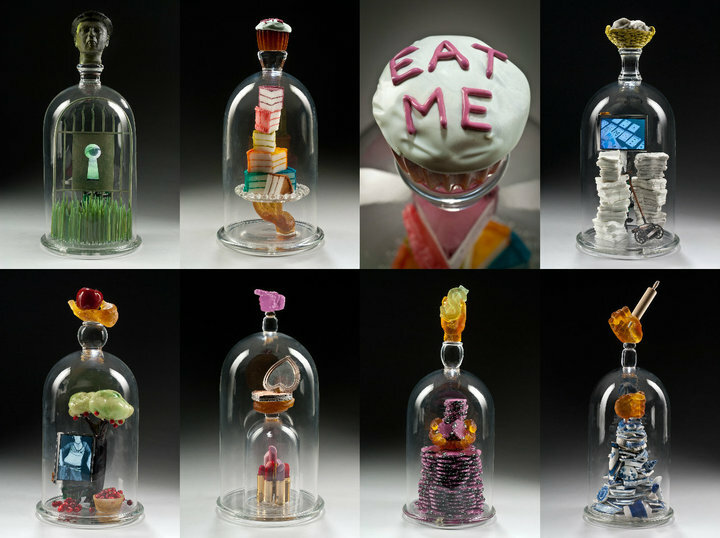 A glass exhibition with a number of Washington, DC area glass artists is opening this weekend at the Ratner Museum in Bethesda , MD. The eight artists in this exhibit have each been on an artistic journey and perhaps, still are. Their travels have taken them to different places and each unique journey distinguishes each artist from the other. Most of them have crossed paths at some point. In this exhibit, the artists, all independently chosen, converge for INTERSECT: Glass Meets Art. Glass and art are the points they have in common. Sean Hennessey, a sculptor and painter, currently working in glass and concrete, creating narrative works inspired by artifacts, mythology, and common everyday objects. Robert Weiner’s Colorbar Murrine Series, affords him the opportunity to experiment with color, fusing temperatures, and to express a personal style that reflects simplicity with a close attention to detail. In her dynamic glass and mixed media creations, in which depth and contrast are dominant, Anne Elise Pemberton explores the relationship between plant, human, and atomic structures. 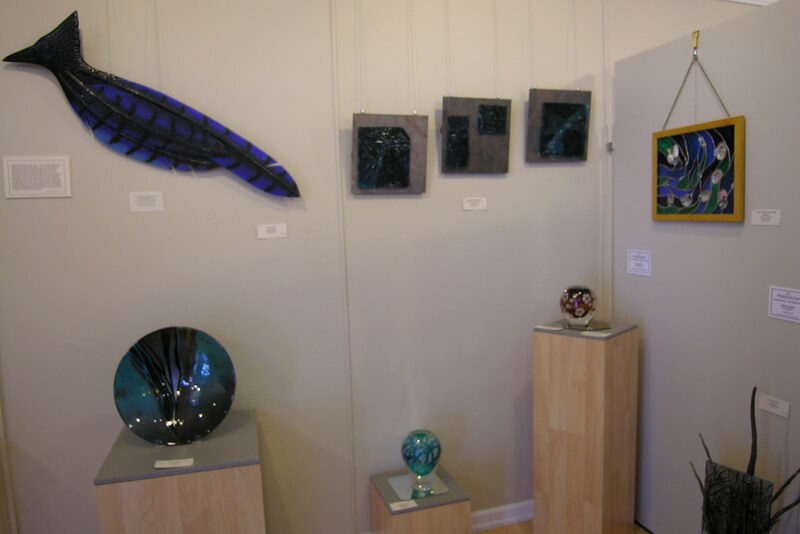 Nancy Weisser is an award winning multimedia artist with a focus on glass since 1980. As owner of Weisser Glass Studio, Nancy has made a substantial contribution to the dynamic growth of the Washington glass community. Other artists in the diverse show include, Jill Tanenbaum, Judith Busby, Kari Minnick and Benjamin Bornstein.